These images where captured & created with a purpose built camera assembled from corrugated cardboard. 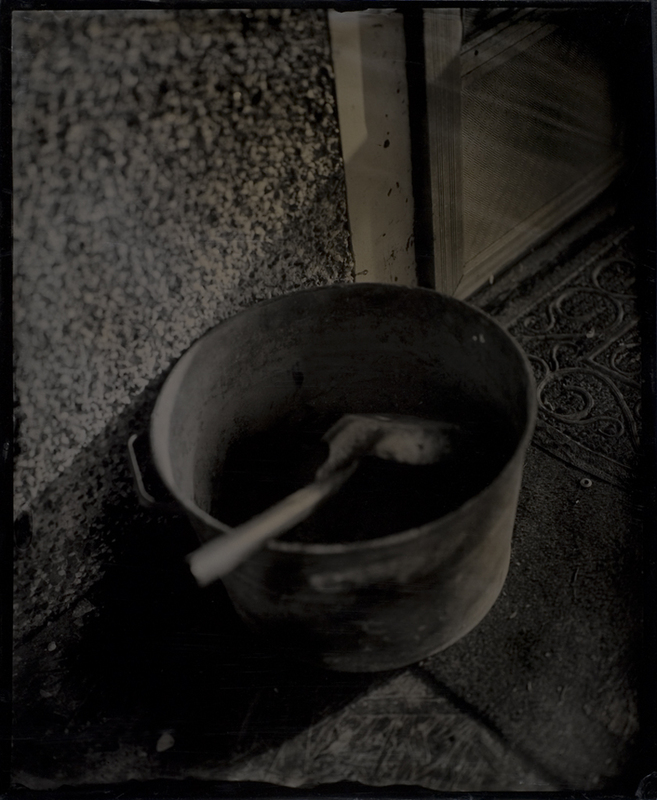 These photographs are Wetplate Collodion images, (hand-poured emulsions exposed directly onto aluminum plates) - this is important because the history of the medium has had its mainstay in portraiture. Right back to its humble beginnings in the 1850s as the Tintype and now the Tintype is enjoying a contemporary renaissance in the 21st century. 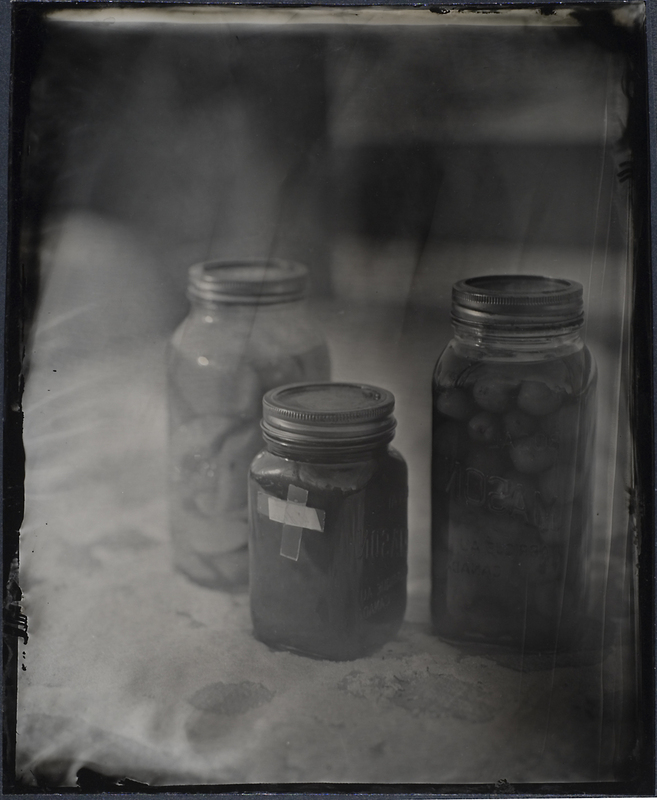 More so than any other photographic medium the Tintype has been synonymous with human identity. 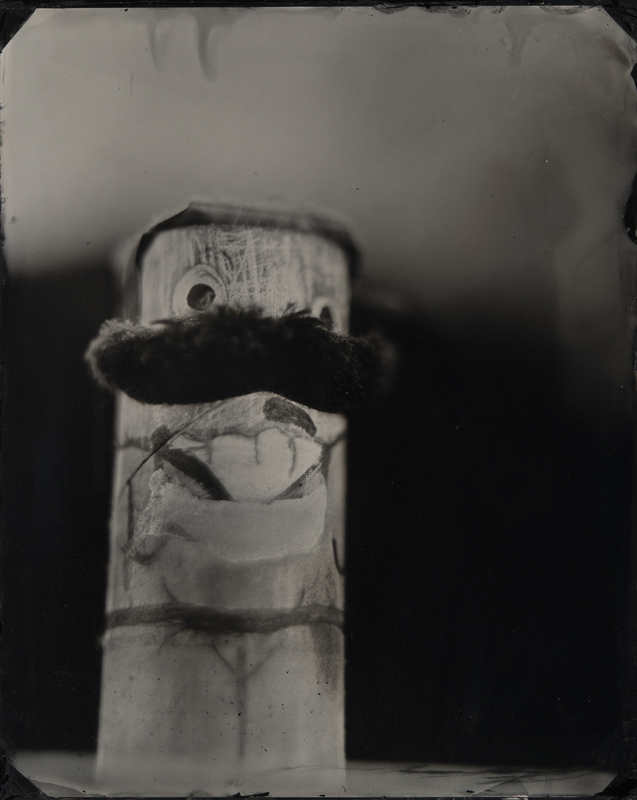 The reason for this perhaps lies in Collodion’s orthochromatic black and white emulsion, rendering images that reveal a hidden characteristic or emphasize unique characters in peoples skin tone or physiognomy making it mysterious or alluring to have ones face captured and reveal something about yourself that is unseen with the human eye. Taking this dimension of the craft and applying it to a portrait of hypothetical family members and what they might reveal, character traits that only people within your family circle might know, a superficial quirk or a deep character flaw, this is the concept from which this body of work began. 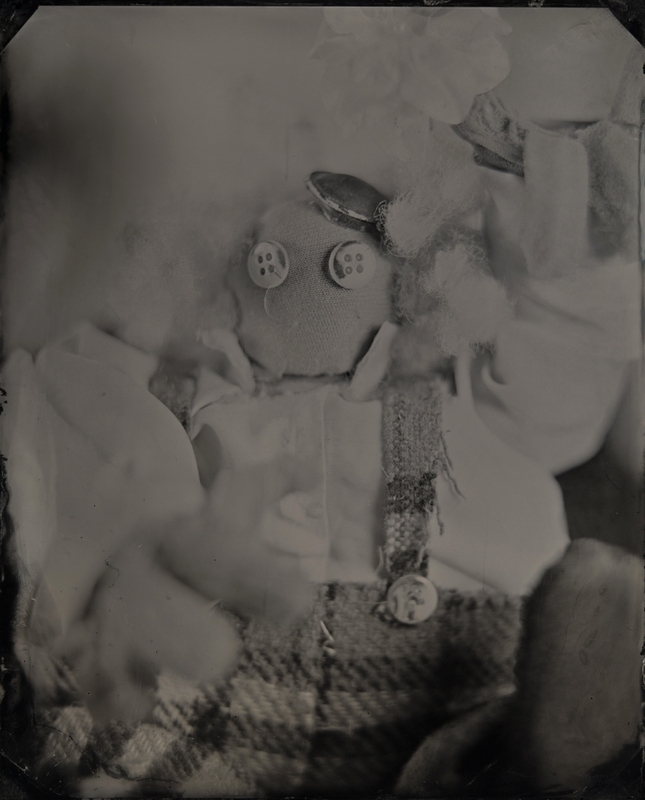 Pulling this (conceptual) string just a little further and apply these “quirks or flaws” to Tintype portraits of handmade puppets and “knickknacks” what might these Family Portraits reveal in themselves? The porcelain figurines and plastic miniatures of pop culture cartoons echo back for millennia when our ancestors from all over the world crafted human forms from clay and stone and textiles. These sculptures, fetishes, and idols held great power and symbolism, which sometimes were created to invoke or to repel and if fashioned correctly it was believed could themselves bring great pain, dispel human fears, heal or create tortured psychological states. It was an early form of psychiatric therapy. In the 21st century I believe this to holds true as well. The figurines we fashion mirror our own dreams, fears and the possible allegories of modern human interaction or psychosis and becomes a sculptural representation of psychiatric terminology. This body of work is a satirical look at these allegorical states, giving them form and visual power within the construct of a fictional family.